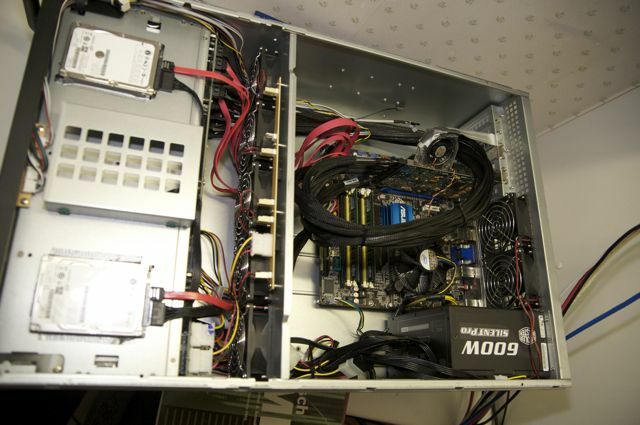 This is my NAS storage server based on Debian Linux. 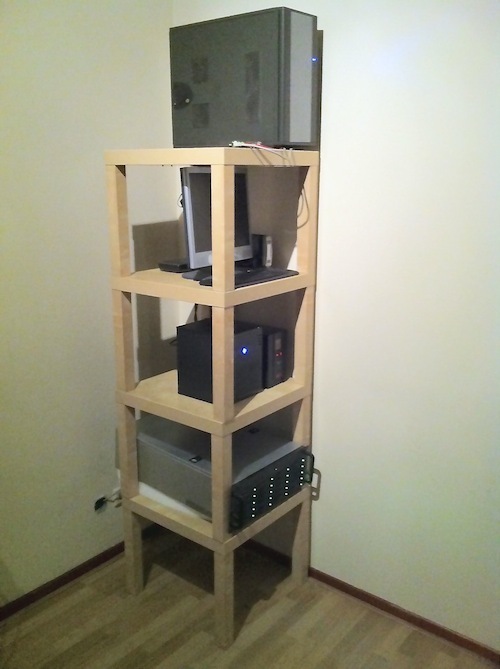 It uses software RAID and 20 one terrabyte hard drives. 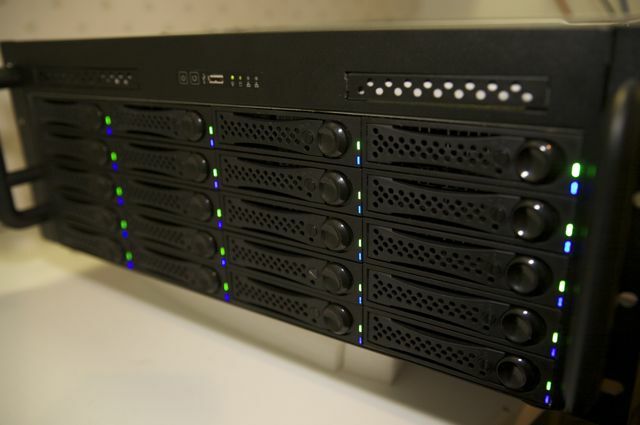 It provides a total usable storage capacity of 18 terrabytes in a single RAID 6 array. One of the remarkable side effects of using 20 drives within a single array is the read performance of over one gigabyte per second. Controller: HighPoint RocketRAID 2340 (16) and on-board controller (6). RAID setup: Linux software RAID using MDADM. Rebuild time: about 5 hours.